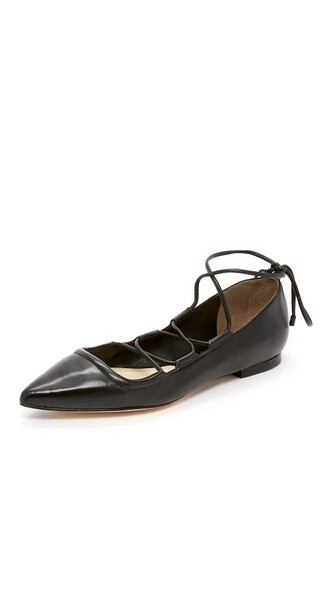 Megan Cawe: SHOPBOP : Shoe of The Month + Shoes I have been loving! 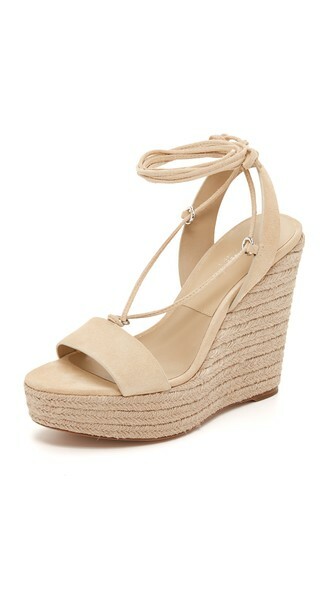 SHOPBOP : Shoe of The Month + Shoes I have been loving! 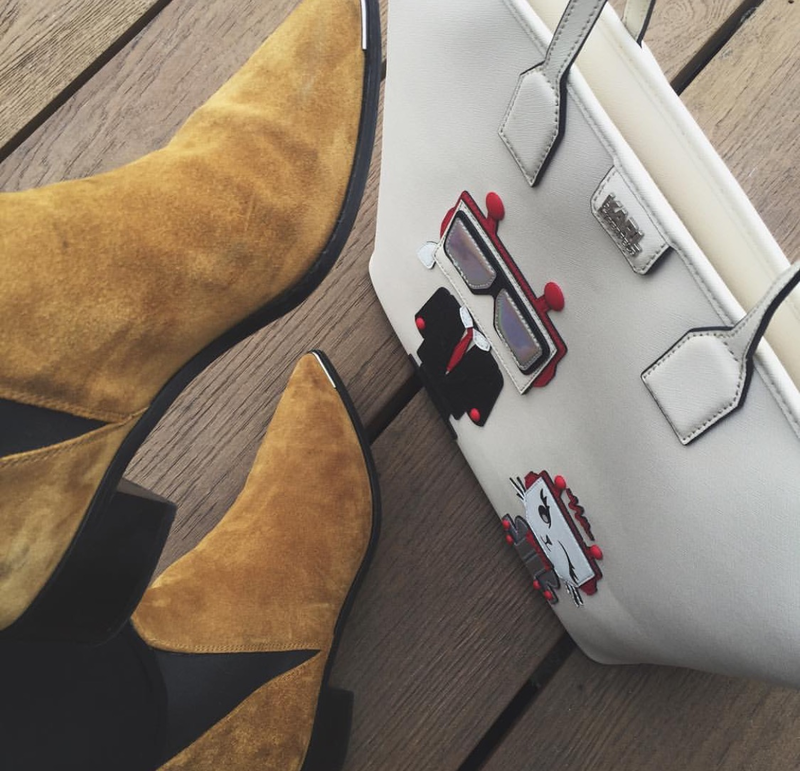 As you all know I am so obsessed with Shopbop right now, everything on the site I am living for. 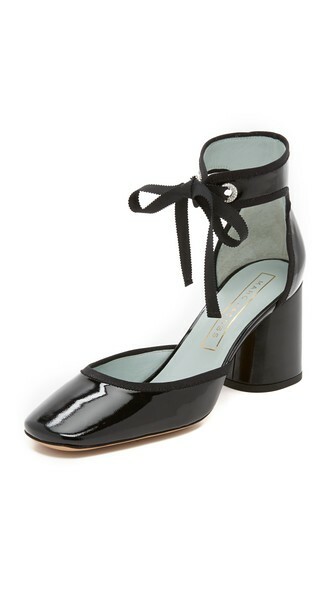 Again, this month, I have found my "Shoe of the Month" which surprisingly isn't a pair of heels (if you have followed me for a while you will know I would put on a pair of heels to the gym). Please remember that you can change the currency of the site to any around the world. 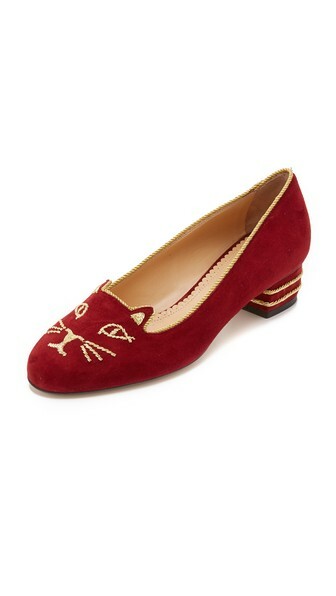 I have always said that us girls cannot go wrong with a good, decent set of flats in our wardrobe. Whether that be ballet pumps, chelsea boots, trainers, espadrilles or even flip flops - I think it is an essential to have these to be comfortable. After all, there comes a point where fashion can become too painful. So, I decided to hold onto this little life motto and dwell into something different, steering away from my love of heels. I decided to go for some Acne Studio Jensen Boots which are quite literally a life saver. 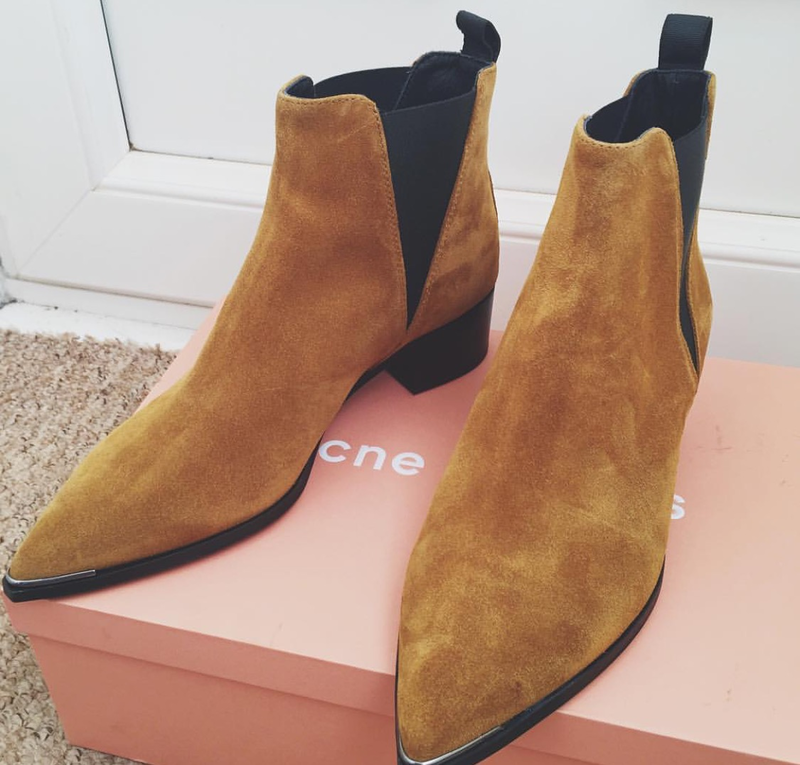 I have always had my eye on a pair of Acne Studio boots and when I saw that Shopbop stocked them I literally thanked the gods. I am obsessed with that super slick, off-duty look that has been donned by Kendall Jenner and Harry Styles. 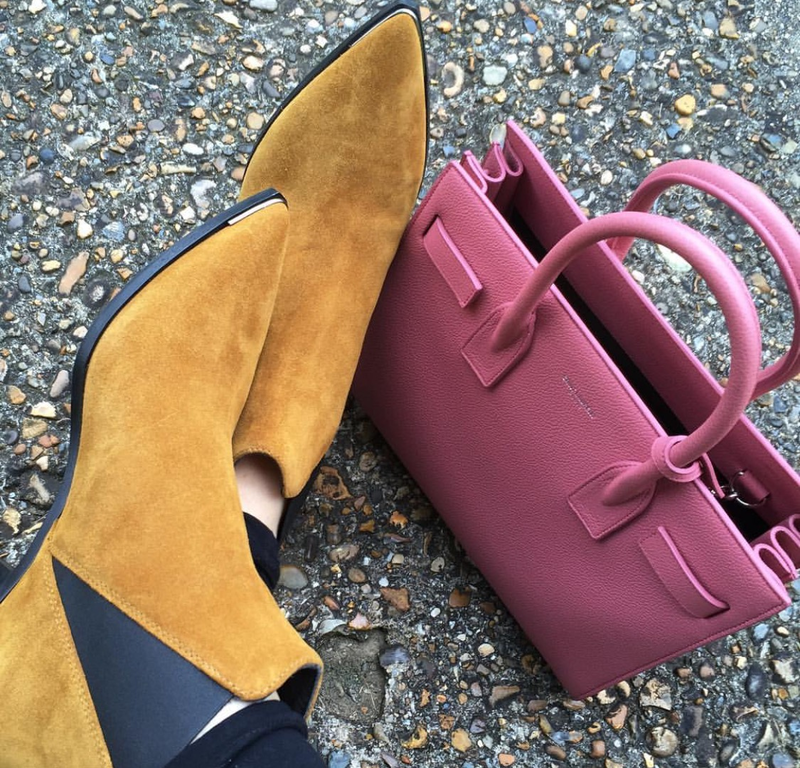 A suede chelsea bootie is the way forward - in my opinion. I of course opted for a tanned version of the suede to be a little different. I wanted something that wasn't just black as at the moment, I am finding myself in a "Wearing just Black" funk, and I wanted to add something a little different. However, these beauties do come in Black so if you're interested in purchasing you can select the black option - click here to see. You will have these shoes for life and they are instantly comfortable. They're a shoe that will never date and at the moment they are on a huge hype. They are perfect for lunch with the friends, shopping, running errands and general activity - whilst giving you that sort after, classic edge. Paired with some black or white ripped jeans with a casual baggy top gives you an instant fresh, youthful vibe. I love them.